The post Planning what I will see at #OER19 appeared first on Sharing and learning. This entry was posted in Professional and tagged oer, ukoer on 7 April, 2019 by Phil Barker. The ALT Conference is just one week away and I’m looking forward to reforming the ALTC Social Media Supergroup with Martin Hawksey (on live stream) Richard Goodman (on media tweets and replies), Chris Bull (on photography) and me (on keynote live tweets). This will be the fourth year that we’ve provided social media coverage for the conference and it’s always a rather daunting, though very rewarding task. Although I regularly live tweet any conferences and events I attend, live tweeting the ALT Conference keynotes in an official capacity is a rather different affair, as it’s important to ensure tweets are as factual, neutral and representative as possible. It’s quite a different experience from tweeting thoughts and comments on my own account. This is something that I reflected on in my CMALT portfolio. This entry was posted in Professional and tagged altc, higher education, ukoer, Women in Tech on 3 September, 2018 by Open World. Transcript and slides from my keynote at the OER18 Open For All Conference in Bristol. Being invited to keynote is always a privilege, and I’m particularly honoured to have been invited to present the opening keynote at this year’s OER18 Conference here in Bristol. Not least because I’m following in the footsteps of the three inspirational women who presented last year’s keynotes; Diana Arce, Maha Bali and Lucy Compton-Reid, but also because it’s a real privilege to be here talking, and more importantly, listening to you. It’s no exaggeration to say that it’s the people at this conference, people like you, who have shaped my thinking on OER and my career as an open education practitioner more than any other. You see, OER is my conference, I’ve attended every single one since the conference launched at the University of Cambridge in 2010, and in 2016 I had the huge pleasure of chairing the OER Open Culture conference at the University of Edinburgh with my inspiring colleague Melissa Highton. Over the years I’ve seen this conference grow in scale and scope, I’ve seen themes and trends around open education change and evolve, and I’ve watched with real pleasure as the conference has become more diverse, inclusive, and international. 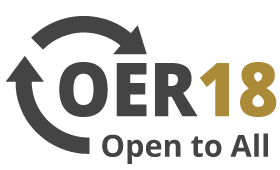 The OER conference really is increasingly open for all. One of the things that I’ve always loved about open education, and indeed about learning technology more generally, is that we have all arrived here by very different, often circuitous, and sometimes surprising routes. We all came from somewhere else and we all bring something different to the domain of open education in terms of experience, practice and perspective. I started out not in education or technology, but in archaeology. I studied Archaeology at the University of Glasgow and after graduating, I worked as a professional archaeologist for five years before deciding it was time for a career change. After a brief foray into the commercial sector, where I worked for the first commercial multimedia company in Scotland, I came back into Higher Education in 1997 to work on one of the early learning technology projects funded by the Scottish Funding Council’s innovative Use of the MANs Initiative. I’ve worked in the education technology ever since, but I still have an active interest in historical research, particularly naval history, the history of gender and sexuality, and sometimes all three together! So, in keeping with my historical interests, I want to look back and re-examine how the OER Conference has explored and renegotiate what “OER” means, and how the changing themes and fluctuating interpretations of OER have influenced and reflected my own development and perspective as an open education practitioner over the last decade. And by meaning, I’m not talking about defining the specific attributes and semantics of what does or does not constitutes an Open Educational Resource, I’m talking about critically reflecting on what openness means in relation to education at different points in time and from different perspectives, because as Catherine Cronin reminds us in her thought provoking 2017 paper Open Education, Open Questions, “openness is a constantly negotiated space”. Open education looks very different to each and every one of us, and our perspective will depend entirely on where we are standing and the privilege of our vantage point. And of course it is inevitable that our perspective will change as our roles and careers change and develop over time. I’m sure this is something you’re all familiar with and I am certainly no exception to that rule. In my current role I have the privilege to work with an incredible team of people at the OER Service at the University of Edinburgh, an institution with a strong commitment to openness and a vision for OER. This commitment is squarely aligned to the University’s mission to provide the highest quality learning and teaching environment for the greater wellbeing of our students, and to make a significant, sustainable and socially responsible contribution to Scotland, the UK and the world, promoting health, economic and cultural wellbeing. And later in this talk I’ll be highlighting some of the ways that the university encourages learners to engage with and co-create open education through a wide range of initiatives including internships, playful learning activities, Wikipedia in the classroom assignments, and outreach and engagement courses. But first I’d like to turn the clock back to 2010 when the conference first launched, UK Higher Education was just starting to explore OER and I was approaching open education from a rather different perspective. In 2010 the JISC / HEA Pilot Programme, which was the precursor to the UKOER Programme, was just concluding and the first OER keynotes were presented by my former University of Strathclyde colleague Allison Littlejohn and JISC’s Executive Secretary Malcolm Read. The themes of the conference were open educational content, OER design, and open education communities and it’s notable that the focus of the first two strands was very much on technology approaches to OER. Specifically how different tools, technologies, platforms, standards and folksonomies (remember them?!) could be harnessed to manage, discover and retrieve Open Educational Resources and interoperable capital L capital D Learning Designs. The third strand, open education communities, explored the “huge opportunities” Web 2.0 social networking offered, asking if we could carry informal social networking practices into professional communities. Interestingly, this strand also asked how we could balance the conflicting demands of quality and inclusivity, (personally I don’t think there is a conflict there), and what the role of learners is in these communities, a theme that is very much in keeping with this years conference. At this time, I was working for the JISC Innovation Support Centre CETIS, the Centre for Education Technology, Interoperability and Standards, where I led the team that provided strategic and technical support for the UKOER Programme, and it’s great to see several of my old Cetis colleagues in the audience today. Our focus then was on how we could harness lightweight web technologies and new Web 2.0 platforms to create a sustainable OER infrastructure without relying too heavily on the monolithic systems and formal education technology standards mandated by previous Jisc programmes. The technology strategy we proposed for the UKOER programme was something of a departure for Jisc, and although it was more successful in some areas than others, these approaches have been broadly vindicated. One of the cornerstones of this strategy was that projects could share their resources on any platform they chose as long as they could be shared under open licence, and they were also made available through the Jorum national repository. And it’s interesting to note that there are still many UKOER resources scattered across the web on platforms such as Flickr, Slideshare, Youtube and OER Commons. Alas the same can not be said for the national repository which was shut down by Jisc several years ago. The lightweight tagging system recommended for resource description is also now commonplace. It’s still possible to find resources on the web using the UKOER hashtag and for a number of years after the programme ended there was still an active community using this tag to share resources and practice. We’ve been less successful in creating tools and technologies for aggregating resources, the Solvonauts OER search engine developed by Pat Lockley is an admirable exception, and Creative Commons are doing great work here too, but I think we still have some way to go before seamless discovery of OER becomes simple and ubiquitous. However we’ve also seen our understanding of OER expand to include applications, tools, technologies and indeed the web itself. An approach exemplified by initiatives such as Jim Groom and Tim Owen’s Reclaim Hosting, which provides educators and learners with a simple way to own and control their own web domains. In the very first OER Conference keynote, Malcolm Read highlighted one of the aims of the UKOER Programme as being to build sustainable practice and it’s one of my frustrations that because the end of the Programme coincided roughly with the Jisc transition, there has never been an evaluation of the long term impact of the programme on the sector. Fast forward two years to 2012, the OER Conference was again hosted in Cambridge, though it had been to Manchester in the interim, the theme was Openly Collaborating to Enhance Education, and while technology was still there in the mix, the focus was starting to shift to open academic practice and institutional and government policies. I vividly remember sitting in the audience with my colleague Joe Wilson, then Head of New Ventures at the Scottish Qualifications Agency, and listened to Sir John Daniel, present a keynote about the UNESCO / COL initiative Fostering Governmental Support for OER Internationally, one of the outputs of which was the influential Paris OER Declaration. In a rather roundabout way, that keynote and the subsequent Declaration inspired us to launch Open Scotland, a voluntary cross sector initiative that aims to raise awareness of open education, encourage the sharing of open educational resources, and explore the potential of open policy and practice to benefit all sectors of Scottish education. Open Scotland has been supported by a number of organisations over the years, most recently ALT Scotland and the University of Edinburgh. And it was through Open Scotland that we came together with colleagues to draft the Scottish Open Education Declaration a community drafted policy statement, based on the Paris OER Declaration . I’m not going to say too much about about Open Scotland at at the moment, though I’m very happy to talk about this later if you have questions, however it was through this initiative that I started to re-frame my perspective on OER and open education in terms of personal ethics and the wider policy landscape. 2012 was also the year that the UKOER Programme came to an end and the education technology sector in the UK was facing an unprecedented and prolonged period of change and restructuring. Many people predicted the demise of the OER Conference at that time, particularly when open education discourse was increasingly becoming dominated by commercial MOOC providers and their promise to disrupt! education. Such was the hype around MOOCs, that for a time it appeared open educational resources would fade into obscurity. The shift in discourse from OER to MOOCs was so marked that I remember Amber Thomas, previously of Jisc and now of the University of Warwick, remarking in 2013 that it was as if MOOCs had stolen OER’s girlfriend. For what it’s worth, I still think the relationship between MOOCs and OER is deeply problematic. While instigating swingeing cuts to faculty, teaching support and pensions across the sector, Higher Education has invested astonishing sums of money in the development of MOOCs, yet the vast majority of the resources produced remain locked up on proprietary platforms. We really ought to do something about that. However, far from being swept side by the avalanche, the OER conference continued to thrive. and to push the boundaries of open education to incorporate open pedagogy, policy, research and practice and when ALT stepped up to support the event in 2015, its future was assured. And I want to pause for a minute here and just acknowledge the importance of the role that ALT has played in supporting the OER conferences as I believe it’s largely through their support that the conference has grown to become the diverse and inclusive international event it is today. The Conference has continued to explore and re-assess the domain of open education and what OER means in the context of the ever changing educational landscape. Indeed at OER14 co-chairs Simon Thomson and Megan Quentin-Baxter suggested that the conference had moved beyond “resources” and asked delegates to suggest alternatives for what the R in OER might stand for. Suggestions included Open Education Re-Imagined, Openness Education Reflection, Open Educative Relationships and, perhaps preempting the themes of OER17 The Politics of Open, Open Education Rebellion and Revolution. While it is crucial that we continue to critically negotiate and reassess openness and OER, it is also important that we don’t lose sight of the fundamentals of open education. And I would argue strongly that one of those fundamentals is that publicly funded educational resources should be freely and openly available to the public. And if you take away one message from this talk, this would be it. As open education discourse has shifted to focus on open policy and practice one might be forgiven for thinking that, OER, open educational resources are done and dusted, but that is very far from the case. We have a long way to go before we can claim that our publicly funded educational resources are freely and openly available to all. And while I welcome the expanding focus of open education discourse, it does sometimes frustrate me that open education practice and open pedagogy are sometimes held up in opposition to OER, while in truth they are all part of the wider open education landscape. It is true that resources alone can not transform education, only practice can do that, only we can do that, but that doesn’t mean that there is no role for OER, and it doesn’t mean that we can sidestep our responsibility to ensure that our educational resources are freely available under open licence. I see this is a personal ethical responsibility, but it is also a responsibility that institutions and government agencies must shoulder. Far too few of our publicly funded teaching and learning resources produced across all sectors of education are released under open licences. We really need to change that, we need to take action, because if we can’t change that, then who can? This is one of the challenges that last year’s UNESCO OER World Congress in Ljubljana sought to address. The theme of the Congress was “OER for Inclusive and Equitable Quality Education: From Commitment to Action” and there was a strong focus on how OER can help to support United Nations Sustainable Development Goal 4. The main output of the Congress was the UNESCO Ljubljana OER Action Plan and central to this action plan is the acknowledgement of the role that OER can play in supporting quality education that is equitable, inclusive, open and participatory. The Action Plan outlines 41 recommended actions to mainstream OER and to help Member States to build knowledge societies and provide quality, lifelong education. These are laudable goals and the OER Action Plan does help to articulate what my colleague Melissa Highton has referred to as the value proposition for OER. We need to be clear about what problems OER and open education solve, what specific benefits they deliver. It is notable that the individuals, institutions and organisations that have really committed to opening access to their resources are those for whom the value proposition for OER aligns with their personal ethics, institutional vision, organisational mission or business model. Whether it’s the Rijksmuseum whose vision is to link individuals with art and history. Wellcome which exists to improve health for everyone by helping great ideas to thrive. The National Library of Scotland which aims to make a significant and lasting contribution to global knowledge and the memory of the world. The University of Edinburgh whose mission is the creation, dissemination and curation of knowledge. Open textbooks initiatives which are founded on the belief that textbook costs should not be a barrier to education. The Wikimedia Foundation which imagines a world in which every single human being can freely share in the sum of all knowledge. And of course, the organisation which has made this conference possible, ALT, whose core values are participation, collaboration, membership, independence and openness. These are all institutions and organisations that have placed openness at the heart of their business and have made a commitment to opening up access to their resources because the value propositions for OER align with their strategic missions. And I believe this is where policy can play an important role; by clearly articulating the benefits and value propositions of open education and OER, and being explicit about how these align to the mission and vision of the institution. Of course it’s important to recognise that the value proposition for OER will differ from place to place and will depend very much on organisations and institutions strategic drivers and priorities. In the US where OER increasingly equates to open textbooks, it makes sense for states and school districts to adopt OER in this form because open textbooks offer huge cost savings to students. In the UK, the value proposition is rather different. For example OER aligns with the University of Edinburgh’s strategic mission not only because it has the potential to offer costs benefits by ensuring that we continue to have longevity of access the the resources we invest in, but also because it is an effective way to contribute to the the University’s civic mission to make a significant, sustainable and socially responsible contribution to Scotland, the UK and the world. And I want to come back and say a little more about this in a minute. The important thing to remember is that there is no one size fits all, there will always be multiple drivers and priorities for investing in OER and there will always be a wide range of perspectives. This is one reason why it’s important when we talk about open education and OER, that these discussion are inclusive and accommodate multiple, diverse voices and viewpoints. And I’ve been encouraged over the years to see the very real and tangible efforts that the OER Conference has made to ensure that it is welcoming, accessible, inclusive and diverse. 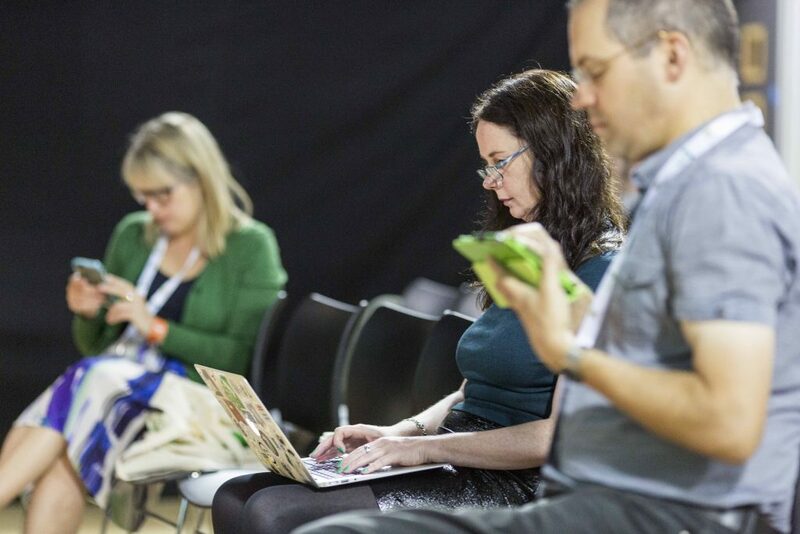 From it’s initial UK focus, the OER Conference has become increasingly international and has gone to significant lengths to ensure that it really is open and accessible to as diverse a community as possible. ALT is to be applauded for its commitment to providing a wide range of channels and opportunities to enable colleagues to participate in the conference virtually and remotely, and the event has not shied away from asking difficult questions about who is included and excluded from open spaces and conceptualisations of openness. And this is important, because those of us who are privileged enough to participate in this wonderful open community, need to remind ourselves that while openness may be a personal ethical choice for some of us, or a sound business investment for our institutions, for those that are oppressed, excluded, or marginalised, openness may be an unattainable privilege, or even a threat. And this is a point that Chris Bourg stressed in their keynote at the Creative Commons summit in Toronto last week. One perspective that has sometimes been missing from open education discourse is the voice of the learner. That is not to say that the Conference has not made an effort to ensure that the student voice is included and represented. Two officers of the National Union of Students have presented keynotes; Toni Pearce (standing in for Rachel Wenstone) at OER13 and Wendy Carr at OER14. And I’m particularly encouraged to see that this year’s conference is squarely addressing learner inclusion by focussing on how open education and open practice can support learners, foster learner diversity and inclusion, and help students develop important digital literacy skills. At the University of Edinburgh, students have always played a key role in shaping the institution’s vision of openness. Together with senior colleagues within Information Services, it was the Edinburgh University Student Association (EUSA) that provided the initial impetus for the development of an OER policy at the university, and in 2014 EUSA’s Vice President for Education, Dash Sekhar, attended the conference in Cardiff along with colleagues Melissa Highton and Stuart Nicol to talk about this student-led OER policy. Right from its inception, Edinburgh’s vision of openness encourages both staff and students to engage with the use and creation of OER and open knowledge, to enhance the quality of the student experience while at the same time making a significant contribution to the cultural and digital commons. I’m delighted that EUSA’s current Vice President for Education, Bobi Archer, is attending the conference this year, along with several of my amazing colleagues from Information Services, Charlie Farley, Ewan McAndrew and Anne-Marie Scott, who will be presenting papers highlighting examples of innovative open education initiatives and creative student engagement across the university; including Wikimedia in the classroom initiatives, student and community OER creation, OER for access and activism in cultural heritage, so please do go along and check out their talks. I don’t want to steal their thunder but I do want to highlight just a couple of examples of how we engage students in OER co-creation at the University. A number of studies have shown that lesbian, gay, bisexual and transsexual health is not well-covered in Medical curricula, however knowledge of LGBT health and of the sensitivities needed to treat LGBT patients are valuable skills for qualifying doctors. The LGBT+ Healthcare project, which involved a team of undergraduate medical students, sought to address the lack of teaching on LGBT health through OER. The project remixed and repurposed resources originally created by Case Western Reserve University School of Medicine in Ohio, and then contributed these back to the commons as OER. In order to contextualise these resources, new open resources in the form of digital stories recorded from patient interviews were also created and released under open license. These resources were then repurposed by Open Content Curation Student Interns, to create open educational resources suitable for Secondary School children of all ages. All resources are available through multiple channels including the University’s OER Service and the TES portal. The University of Edinburgh has made a considerable investment in MOOCs over the last 5 years so it is important that we ensure we get a positive return on investment from the high quality resources created for these courses. This is a non trivial issue as few MOOC providers make it easy to access course materials off their platforms, regardless of whether or not they are open licensed, and some are increasingly time limiting access to resources. The Open Media Bank initiative at the University has surfaced over 500 high quality media items originally created for University of Edinburgh MOOCs and our Open Media Intern has made these available under open licensed on Media Hopper Create, the University’s media asset management platform where it can be accessed and downloaded by all. In addition to these original media items, short re-usable media snippets have been released for use in creative projects and several have been uploaded to Wikimedia Commons. These snippets have already been used by students as part of DIY film school workshops and OER game jams as part of the University’s Festival of Creative Learning. Our students also have an opportunity to contribute to the world’s biggest open educational resource, Wikipedia, though a wide range of projects and initiatives supported by our Wikimedian in Residence, Ewan McAndrew. These include Wikipedia in the Classroom assignments, and editathons, many of which are designed to improve equality and diversity and enhance the representation of marginalised groups on Wikipedia. Open Content Curation student interns play an important role in OER creation at the University, helping to repurpose and share resources created by staff and other students while at the same time developing their own digital literacy skills. We’re now in the third year of this internship and the feedback we have received from the students has been nothing short of inspiring. And ultimately to me, this is what openness, open education and OER is really all about. I strongly believe that engaging learners and equipping them with the digital skills necessary to participate in open education is key to ensuring that OER and open education is collaborative, diverse, accessible and participatory. Because openness is not just about attributes, definitions and licences, openness is also about creativity, access, equality, and inclusion, and ultimately it’s about expanding access to education, supporting social inclusion and enabling learners to become fully engaged digital citizens. This entry was posted in Professional and tagged oer, open, OpenEdFeed, openscot, ukoer, university of edinburgh, uoe on 20 April, 2018 by Open World. I spent the last couple of days in Bristol, a city I know well: I went to University there (undergrad, PhD and post doc in physics and materials science), my wife’s parents live there. I’ll be honest, meeting my friends from the OER community in a city of which I am very fond was part of what attracted me to this conference. The theme of the conference, “open to all,” with discussions about OER in the context of colonialism, was less attractive to me. Look at the rest of this blog, you’ll see I am much more comfortable talking about technical specifications, APIs and infrastructure to support the creation and dissemination of OER. Bristol has a dark history. Like many towns and cities in Britain, it was built on the slave trade. Bristol more directly than others. I stayed at the Merchant Venturers’ Alms houses, built with the money of Edward Colston, a Bristolian “philanthropist and slavetrader” [wikipedia]. There has been a lot debate in Bristol about whether Colston’s name should still be commemorated in cultural venues and schools. I would recommend the Almshouses to anyone who wanted to stay in an apartment in a lively part of town as an alternative to run of the mill corporate hotels. At the conference, I did get my hoped-for catch up with old friends and chance to meet new friends, I got the chance to talk with people about technical platforms and interoperabilty of eTextBooks and infrastructure for disseminating OER. That much was expected. I share some of Lorna Campbell‘s background, and I think that she encapsulated the UK OER (#UKOER?) movement superbly in her opening keynote. The unexpected pleasure was how much I enjoyed and learned from the contributions of Momodou Sallah (keynote), Nick Baker (paper) and Taskeen Adam (contribution to closing plenary), and Maha Bali, Catherine Cronin (& many others in a discussion session). These people are all great communicators, talking about issues (colonialism, politics of OER in the global south, ideas of openness and availability of education from non-western cultures) that are not part of my background. I could have been out of my comfort zone, but they made me feel comfortable. I wish that many involved in science communication would learn from this. Caucasian wingnut sign, by Ian Poellet via wikimedia commons. I mean that photo of Eric S. Raymond, keyboard in hand gun in the other, shown by David Wiley during his keynote. Look at what wikipedia says about Raymond’s political views. If you haven’t followed any links so far (I see the WordPress logs, I know you don’t) follow that one and come back. I have read the Cathedral and the Bazaar, I do know Raymond’s contribution to open source software. Even coming from a background in materials science, I do understand concepts like the genetic fallacy and wrongness of ad hominem attacks. And I do not think we should be recommending this person’s work to the OER community. The post #OER18 Open to all appeared first on Sharing and learning. This entry was posted in Professional and tagged oer, random musings, ukoer on 20 April, 2018 by Phil Barker. This entry was posted in Professional and tagged higher education, oer, oer18, OpenEdFeed, policy, ukoer, university of edinburgh, uoe on 22 February, 2018 by Open World. involved five universities in leading a project based in the Open University in Scotland. Its aims were to facilitate best practice in open education in Scotland, and to enhance capacity for developing publicly available online materials across the tertiary education sector in Scotland. The project particularly focused on fostering the use of open educational practices to build capacity and promote widening participation. There have always been questions about this project, notably the funnelling of money to the OU without any sign of an open bidding process, but at least it was there. With the OEPS finishing, two things caught my attention: how do we get political support for open education, and what open educational practice is current in Scotland. To paraphrase Orwell: if there is hope, it lies in the grass roots [hmm, that didn’t end well for Winston]. Good places to start looking for current practice at both policy and operational levels are the ALT-Scotland SIG and Scottish Open Education Declaration. There are strong links between the two: key members of ALT-Scotland (notably Lorna M Campbell and Joe Wilson) are involved in developing and promoting Scottish Open Education Declaration; and OEPS also supported some of this work. The Scottish Open Education Declaration and ALT-Scotland have been successful in supporting policy in Scottish HE around open education, and beyond, but it would be nice if this success were recognised and supported from outside of the Open Education community. It seems you only get recognised at a political level if you claim to be able solve big problems: local and global inequalities, widening educational participation. Anyone who says Open Education will solve these inequalities is a charlatan, anyone who believes them is gullible. As Pete Cannell of OEPS said, open as in licensing content is not the whole answer (to widening participation) but it is important part of answer. More hopefully, there is a lot happening at grass roots level that is easy to overlook. Edinburgh University are leading the way, with central support and a vision. As I saw, they are producing some fine OERs created by student interns. A similar model for production is being used in my old workplace of Computer Science at Heriot-Watt University, but with less by way of strategic support. A small team of content interns, working under Lisa Scott, have been using open tools (WordPress, H5P, Lumen5) to create learning resources for the new Graduate Level Apprenticeship programme in Software Development. The actual course is closed, delivered in BlackBoard, but the resources are openly licensed and available to all (this not only allows the team to use CC:SA resources in their creation but saves the hassle of setting up access management to the collection). Like Edinburgh, Glasgow Caledonian University has a policy for OER and a repository replete with resources, but the examples I found seemed locked for local use only. That’s not a criticism (and I may just have been unlucky in what I tried to view) because the important thing is that here is an example of open supporting the work of one of our Universities. In Dundee, Natalie Lafferty runs a student selected component of the medical course on The Doctor as Digital Teacher for which students create a learning resource. Here’s an example of an iBook created by one student using original and openly licensed resources, and an account of its creation. There are probably other examples from Scottish F&HE that I don’t know or have forgotten (sorry about that–but do use the comment box below to remedy this), but one of the key messages from the Promise of Open Education meeting was that Open Educational Practice is not just about Universities giving access to resources they create, valuable as that is. There were great examples presented at the conference of OEPS working with Dyslexia Uk and Education Scotland, and working with Parkinson’s UK. And in the final discussion Lorna Campbell did a great job of highlighting the variety of open educational practice in Scotland, from Scotland’s three Wikimedians in residence and networks such as Girl Geek Scotland. And that really is just the tip of the iceberg. So, in conclusion, this was not the end of open educational practices in Scotland. The future lies not just in continuing the legacy of one project, but in the ongoing efforts of a great diversity of effort. But you know what, it would be really nice if those efforts got the recognition and support from national policy makers. The post The end of Open Educational Practices in Scotland appeared first on Sharing and learning. This entry was posted in Professional and tagged open education, ukoer on 15 September, 2017 by Phil Barker. I gate-crashed a lecture on copyright that Naomi Korn gave at Edinburgh University. I’ve had an interest in copyright for as long as I have been working with open access and open educational resources, about ten years. I think I understand the basic concepts pretty well, but even so Naomi managed to catch a couple of misconceptions I held and also crystallised some ideas with well chosen examples. First, quick intro to Naomi. Naomi is a copyright consultant (but not a lawyer). I first met her through her work for UKOER, which I really liked because she gave us pragmatic advice that helped us release resources openly not just list of all the things we couldn’t do. Through that and other work Naomi & colleagues have created a set of really useful resources on copyright for OER (which are themselves openly licensed). Naomi has also done some work with the Imperial War Museum from which she drew the story of Ethel Bilborough’s First World War diary. It’s there on her website so I won’t repeat here. The key lessons (to me) revolved around copyright existing from the moment of creation until 70 years after the author’s death; copyright is a property which can be inherited; ownership of the physical artifact does not necessarily mean ownership of the copyright; and composite works (the diary contained press cuttings and photos) creating more complex problems with several rights holders. All of these (and the last one especially) are relevant to modern teaching and learning resources. 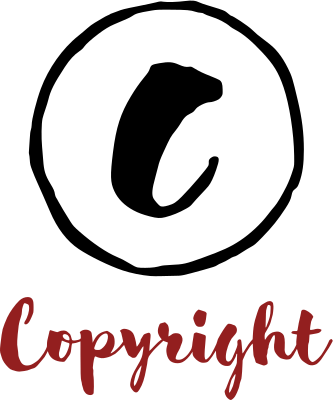 In general copyright supports the copying and use of resources through permission from the rights owner (a licence) and various copyright exceptions. However, sometimes it is necessary to fall back on a pragmatic approach of taking a reasonable risk, for example when the rights owner is not traceable. Naomi described some interesting issues around the use of copyright resources in teaching and learning. For example, there are exceptions to copyright for criticism, review or quotation and for teaching purposes. However these are limited in that such use must be fair dealing (I learnt this: that fair dealing/fair use is an additional limitation on an exception, not a type of exception). Fair dealing is undefined, and may not include putting materials online. Naomi described how easy it is for use of a resource under an exception to become an infringement in the context of modern teaching as the private space of teaching becomes more public. For example a resource used in lecture which is videoed, the video made public. All the more reason to be careful in the first place; all the more reason to use liberal licences such as creative commons, which are not limited to a specific scenario. For copyright purposes, software is classed as a literary work. The post Quick notes: Naomi Korn on copyright and educational resources appeared first on Sharing and learning. This entry was posted in Professional and tagged copyright, legalities, oer, ukoer on 16 June, 2017 by Phil Barker. The Paris declaration was an output of the World OER Congress held at the UNESCO Headquarters in Paris in June 2012 and to mark this anniversary, UNESCO, in collaboration with the Government of Slovenia and the Commonwealth of Learning will host the 2nd World OER Congress in Lubljana in September this year. In advance of this event, the Commonwealth for Learning are undertaking a series of regional consultations in Asia, Europe, the Middle East, Africa, Latin America and the Pacific and in addition, to these consultations, COL have circulated a questionnaire to government education ministries and stakeholders focused on OER for Inclusive and Equitable Quality Education. Both the consultations and survey are ongoing, so I don’t have figures for the number of governments that have participated, but I want to come back to this initiative later. There’s no denying that there have been significant advances in open education in the ten years since the Cape Town Declaration. And you only have to look at the programme of this conference to get an idea of the diverse range of open education initiatives that are going on worldwide. Even the International Open Science Conference had a special focus on OER this year. During that conference Dirk Van Damme of OECD gave a great talk on how OER can act as a catalyst for innovation. Much of Dirk’s presentation was based on this OECD report, which I can highly recommend. One of the figures Dirk quoted was this one; out of 33 countries that responded to a 2012 survey undertaken by OECD, 76% of them had policies to support OER production and use. 76% is a pretty impressive figure, particularly if it’s representative. Wouldn’t it be amazing if 76% of governments worldwide had OER policies? But if we look at this map you’ll notice that one of the countries highlighted is the UK and the UK does not in fact have any government policies that support the creation and use of open licensed educational content. And neither do the devolved governments of Scotland and Wales. In fact government support for open education has arguably declined since this survey was undertaken. To be fair to OECD, I suspect the UK was originally included in these figures as a result of the UKOER programme, which came to an end in 2012. UKOER did not result in the creation of government policy, that was never it’s aim, though it did result in the creation of institutional OER policies, and again, I want to come back to that later. Funding for UKOER did come through government channels, but I don’t think that’s quite the same thing as actually having government policy on OER. To my knowledge, the Westminster Government has not invested any further direct funding in open education since the end of the UKOER Programme and in the intervening years, central support for open education has diminished. Jisc, the organization that coordinated and supported UKOER and once led the field in technology innovation for open education, is no longer active in this space and, as I’m sure many of you will be aware, last year they closed Jorum, the UK’s central OER repository. Selected resources from Jorum have been migrated to the new Jisc Store, which is intended to host both open licensed and paid for content, a move that resulted in some discussion and concerns about open washing when the prototype was launched last year. As many of you will be aware, Scotland did not participate directly in the UKOER programme, as funding came from the Higher Education Funding Council for England and therefore, quite rightly, only English institutions were eligible to bid. It’s my understanding that the Scottish Funding Council were invited to contribute to the pot, but for reasons that remain obscure, chose not to. Some of us, who were involved in supporting the UKOER programme and happened to be based in Scotland, thought that was rather short sighted of SFC so we launched the Open Scotland initiative as a result. I’m not going to say too much about Open Scotland as I suspect many of you will have heard me talk about it before, but just briefly, Open Scotland is a voluntary cross sector initiative that aims to raise awareness of open education, encourage the sharing of open educational resources, and explore the potential of open policy and practice to benefit all sectors of Scottish education. Open Scotland has been supported by a number of organisations over the years, most recently ALT Scotland and the University of Edinburgh. One of the main outputs of the Open Scotland initiative is the Scottish Open Education Declaration, which is based on the Paris OER Declaration of 2007, but which broadens the scope of the original to include all aspects of open education. And again, I’m sure some of you will have heard me speak about the Declaration before. Open Scotland has been lobbying the Scottish Government since 2013 to encourage them to endorse the principals of the Declaration and recommend the use of open licenses for educational resources produced with Scottish public funding. I’ve been personally involved in leading this initiative and after four years I can stand here with my hand on my heart and say that despite our best efforts we have had next to no influence on government policy. We have contacted three consecutive Ministers for Education, and although two made vaguely encouraging noises about the Declaration, they had no inclination to support the principals of the Declaration. I should add at this point that the Scottish Government isn’t completely blind to the concept of open education. In 2014 the then Cabinet Secretary for Education, Mike Russell, allocated £1.3 million to the Open University to launch the major Opening Educational Practices in Scotland Project. That project, which has had considerable success in engaging the third sector in open education, is coming to an end on July this year and some of the team are here at the conference if you want to find out more about this initiative. The Scottish Government’s lack of interest in open education can be seen at policy level too. In September last year Scot Gov launched their new digital learning and teaching strategy for Scottish schools. Key themes are closing the attainment gap, developing digital skills, embedding technology across the curriculum, and using digital technology to improve the assessment process. While it’s encouraging that the strategy acknowledges the potential of digital technology to enhance learning and teaching, and equip learners with digital skills, it’s disappointing that it doesn’t acknowledge the significant role that open education can play in achieving these objectives. Similarly, the Government’s “refreshed” Digital Strategy makes no mention of open education, though it does talk about open data and digital education. And remember the Commonwealth for Learning’s Regional OER Consultation and Survey I mentioned earlier? Open Scotland liased closely with COL to facilitate Scottish Government participation in this initiative. Again, we had no response, the government did not send a representative to the consultation and to my knowledge they have not participated in the survey either. ¨ Open Scotland did actually send a representative to the consultation, Joe Wilson attended on our behalf, and in actual fact Joe was the only person who attended from the UK. To be fair, both the UK and Scottish governments have had other things on their mind recently, but this lack of engagement with international open education initiatives strikes me as being both short sighted and rather depressing. So why is this? Why is it that open education generates barely a flicker of interest at government level? In Scotland at least, there is a perception that open education is peripheral to government priorities, primarily because there is a lack of statistical evidence base supporting the impact of open education on learners. This is not a new issue, many open education practitioners and scholars have highlighted the need for more evidenced based research into the impact of open education. In a challenging talk at the recent Open Science Conference Marco Kalz, UNESCO chair of Open Education at the OUNL, acknowledged that reuse and adaptation are notoriously hard to track and measure, as are direct and indirect effects of OER, and he pointed out, there are no studies that show a direct correlation between OER and innovation. Quoting Sian Bayne and Jeremy Knox’s research at the University of Edinburgh, Marco agreed that “discussions of OER too often tend to optimism and lack of critique” and he argued that the open education field must move from being advocacy driven to become more research driven. That’s not to say that there is no high quality research into the impact of open education, I’ve already mentioned the work of the Digital Education team at the University of Edinburgh and of course there’s the OER Research Hub at the Open University who do sterling work. There’s also a lot of good research being undertaken in the US, however much of this focuses on the significant cost savings associated with the adoption of open textbooks. However these figures don’t easily translate across the Atlantic and it has proved much harder to quantify the benefits of open education in sectors that are less reliant on textbooks. Impressive though the figures are, knowing for example, that Maricopa Community College district saved students $5 million over 5 years isn’t going to cut the ice with education ministers if learners aren’t expected to buy costly textbooks in the first place. So it’s not so much that there’s no research, its that we need more of it, we need more diverse research and we need research that directly addresses strategic government priorities. One of the most frustrating things about all this is that we actually have an excellent evidence base for research on the long term impact of open education here in the UK. The UKOER programme ended in 2014, but very little in depth research or evaluation has been undertake on its impact and outputs. This is primarily because the end of the programme coincided with JISC’s transition from government quango, to not for profit company and its subsequent shift in priorities. Of course the political and education landscapes have changed radically since the end of the UKOER programme but I still believe there is useful research to be done here. After all, you don’t have to look far to see the continued impact of the programme. Many people predicted the demise of the OER conference when the HEFCE funding came to and end, and yet here we all are participating in the biggest most diverse OER conference ever and despite all the funding cuts, despite all the political doom and gloom we are making progress. We may not have had a significant impact on Government policy yet but there are a wealth of open education and OER initiatives going on all over the UK. Several Higher Education institutions, including the University of Edinburgh, have formally adopted OER policies, policies I should add which have their roots in the UKOER programme, and there have been notable successes in the public sector with charities such as the Wellcome Trust and public institutions such as the National Library of Scotland and the British Library taking positive steps to make their collections more open and to support openness at scale. 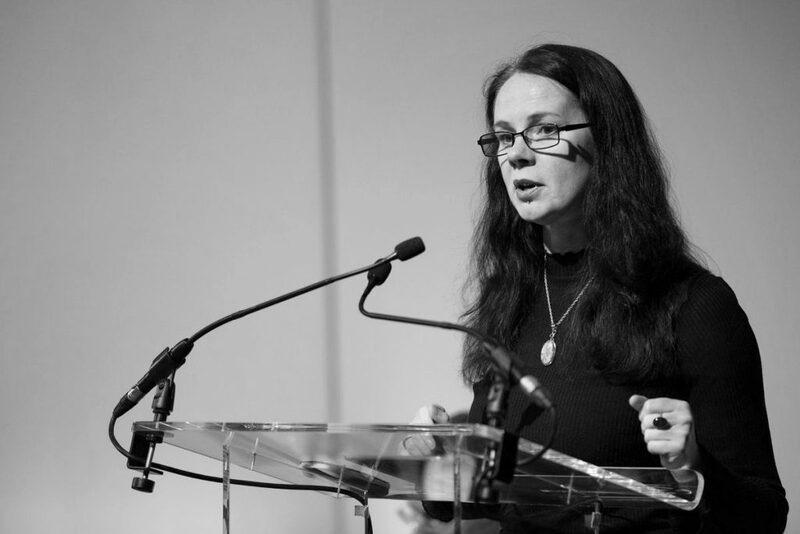 Other organisations such Wikimedia UK and ALT have also stepped in to play an important role in supporting open education policy and practice across the UK. And it’s been really encouraging to see ALT placing openness right at the heart of their new strategy. Clearly some of these barriers remain to be overcome and on the evidence of our experience in the UK, I would argue that there is still much to be done to convince governments of the benefits of open education. Some governments are really starting to get it though. We may still be struggling to convince the Scottish Government of the benefits of open education but I was delighted to hear just a few days ago, that as a result of the Open Med project the Moroccan Government plans to endorse and adapted version of the Scottish Open Education Declaration making it the first country in Africa to have an open education policy I believe. It’s perhaps not the kind of impact we envisaged for the Open Scotland initiative but I think it’s a brilliant example of the unexpected, serendipitous aspect of openness and I hope that where Morocco leads, the UK will, eventually, follow. This entry was posted in Professional and tagged higher education, jisc, jorum, oeps, oer, oer17, open, OpenEdFeed, openscot, policy, politics, ukoer on 10 April, 2017 by Open World. We are setting up a new honours degree programme which will involve use of online resources for work based blended learning. I was asked to demonstrate some the resources and approaches that might be useful. This is one of the quick examples that I was able to knock up(*) and some reflections on how Open Education helped me. By the way, I especially like the last bit about “open educational practice”. So if the rest bores you, just skip to the end. 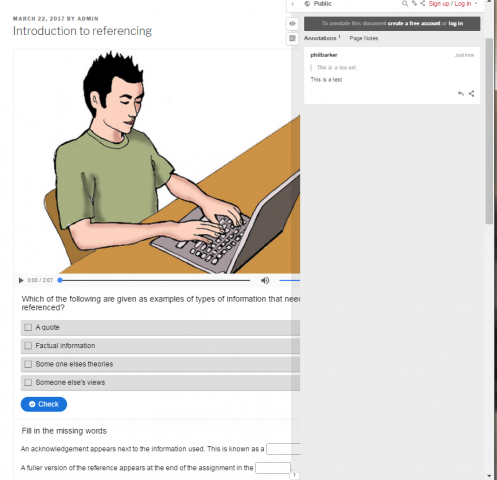 That seemed to be in roughly the right area, so I took a look at the University of Nottingham’s HELM Open site and found an Introduction to Referencing. Bingo. The content seemed appropriate, but I wasn’t keen on a couple of things. First, breaking up the video in 20sec chunks I fear would mean the student spend more time ‘interacting’ with the Next-> button than thinking about the content. Second, it seems a little bit too delivery oriented, I would like the student to be a little more actively engaged. The remixed resource: on the top left is the video, below that some questions to prompt the students to pay attention to the most significant points, and on the right the hypothes.is pop-out for discussion. So that was easy enough, a demo of the type of resource we might produce, created in less than an afternoon. How did “openness” help make it easy. David Wiley’s famous 5Rs define open licences as those that let you Reuse, Revise, Remix, Retain and Redistribute learning resources. The original resource was licensed as CC:BY-NC and so permitted all of these actions. How did they help? Reuse: I couldn’t have produced the video from scratch without learning some new skills or having sizeable budget, and having much more time. Revise: I wasn’t happy with the short video / many page turns approach, but was able to revise the video to make it play all the way through in one go. Remix: The video was then added to some formative exercises, and discussion facility added. Retain: in order for us to rely on these resources when teaching we need to be sure that the resource remains available. That means taking responsibility keeping it available. Hence we’ll be hosting it on a site we control. Redistribute: we will make our version available to other. This isn’t just about “paying forward”, it’s about the benefits that working in an open network being, see the discussion about nebulous open education below. One point to make here: the licence has a Non-Commercial restriction. I understand why some people favour this, but imagine if I were an independent consultant brought in to do this work, and charged for it. Would I then be able to use the HELM material? The recent case about a commercial company charging to duplicate CC-licensed material for schools, which a US judge ruled within the terms of the licence might apply, but photocopying seems different to remixing. To my mind, the NC clause just complicates things too much. I hadn’t heard much about David Wiley’s ALMS framework for technical choices to facilitate openness (same page as before, just scroll a bit further) but it deals directly with issues I am very familiar with. Anyone who thinks about it will realise that a copy-protected PDF is not open no matter what the licence on it says. The ALMS framework breaks the reasoning for this down to four aspects: Access to editing tools, Level of expertise required, Meaningfully editable, Self sources. Hmmm. Maybe sometimes it’s clearer not to force category names into acronyms? Anyway, here’s how these helped. Self-sourced, meaning the distribution format is the source code. This is especially relevant as the reason HELM sent the tweet that alerted me to their materials was that they are re-authoring material from Flash to HTML5. Aside from modern browser support, one big advantage of them doing this is that instead of having an impenetrable SWF package I had access to the assets that made the resource, notably the video clips. Meaningfully editable: that access to the assets meant that I could edit the content, stringing the videos together, copying and pasting text from the transcript to use as questions. Level of expertise required: I have found all the tools and services used (OpenShot, H5P, hypothes.is, WordPress) relatively easy to use, however some experience is required, for example to be familiar with various plugins available for WordPress and how to install them. Video editing in particular takes some expertise. It’s probably something that most people don’t do very often (I don’t). Maybe the general level of digital literacy level we should now aim for is one where people are familiar with photo and video editing tools as well as text oriented word processing and presentation tools. However, I’m inclined to think that the details of using the H264 video codec and AAC audio codec, packaged in a MPEG-4 Part 14 container (compare and contrast with VP9 and ogg vorbis packaged in a profile of Matroska) should remain hidden from most people. Fortunately, standardisation means that the number of options is less than it would otherwise be, and it was possible to find many pages on the web with guidance on the browser compatibility of these options (MP4 and WebM respectively). Access to editing tools, where access starts with low cost. All the tools used were free, most were open source, and all ran on Ubuntu (most can also run on other platforms). It’s notable that all these ultimately involve open source software and open standards, and work especially well when then “open” for open standards includes free to implement. That complicated bit around MP4 & WebM video formats, that comes about because royalty requirements for those implementing MP4. Open educational practice: nebulous but important. Open education includes but is more than open education resources, open content, open licensing and open standards. It also means talking about what we do. It means that I found out about HELM because they were openly tweeting about their resources. I think that is how I learnt about nearly all the tools discussed here ina similar manner. Yes, “pimping your stuff” is importantly open. Open education also means asking questions and writing how-to articles that let non-experts like me deal with complexities like video encoding. There’s a deeper open education at play here as well. See that resource from HELM that I started with? It started life in the RLO CETL, i.e. in a publicly funded initiative, now long gone. And the reason I and others in the UKHE know about Creative Commons and David Wiley’s analysis of open content, that largely comes down to #UKOER, again a publicly funded initiative. UKOER and the stuff about open standards and open source was supported by Jisc, publicly funded. Alumni from these initiatives are to be found all over UKHE, through which these initiatives continue to be crucially important in building our capability and capacity to support learners in new and innovative settings. The post Reflections on a little bit of open education (TL;DR: it works). appeared first on Sharing and learning. This entry was posted in Professional and tagged annotation, Design for Online Learning, MACS enhancement, oer, open education, Praxis, ukoer, WordPress on 30 March, 2017 by Phil Barker. A book with a chapter by Lorna M Campbell and I has just been published. The book is Open Education: International Perspectives in Higher Education edited by Patrick Blessinger and TJ Bliss, published by Open Book Publishers. There are contributions by people I know and look up to in the OER world, and some equally good chapters by folk I had not come across before. It seems to live up to its billing of offering an international perspective by not being US-centric (though it would be nice to see more from S America, Asia and Africa), and it provides a wide view of Open Education, not limited to Open Education Resources. There is a foreword by David Wiley, a chapter on a human rights theory for open education by the editors, one on whether emancipation through open education is theory or rhetoric by Andy Lane. Other people from the Open University’s Open Education team (Martin Weller, Beatriz de los Arcos, Rob Farrow, Rebecca Pitt and Patrick McAndrew) have written about identifying categories of OER users. There are chapters on aspects such as open science, open text books, open assessment and credentials for open learning; and several case studies and reflections on open education in practice. 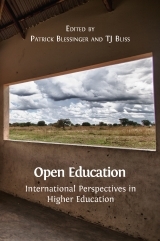 Open Education: International Perspectives in Higher Education is available under a CC:BY licence as a free PDF, as very cheap mobi or ePub, or reasonably priced soft and hard back editions. You should get a copy from the publishers. The chapter that Lorna and I wrote is an overview drawing on our experiences through the UKOER programme and our work on LRMI looking at managing the dissemination and discovery of open education resources. Here’s the abstract in full, and a link to the final submitted version of our chapter. The post Book chapter: Technology Strategies for Open Educational Resource Dissemination appeared first on Sharing and learning. This entry was posted in Professional and tagged oer, repositories, resource description, resource discovery, sustainability, ukoer on 20 December, 2016 by Phil Barker.